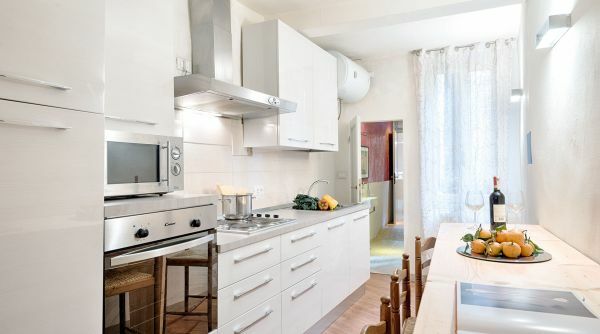 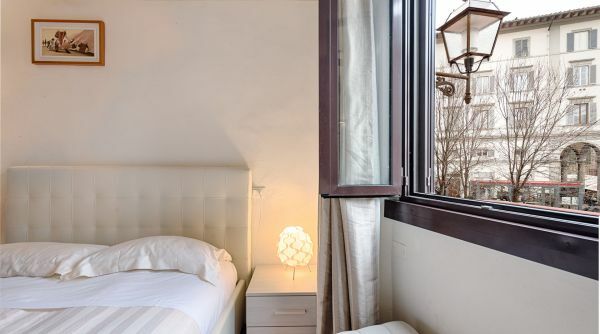 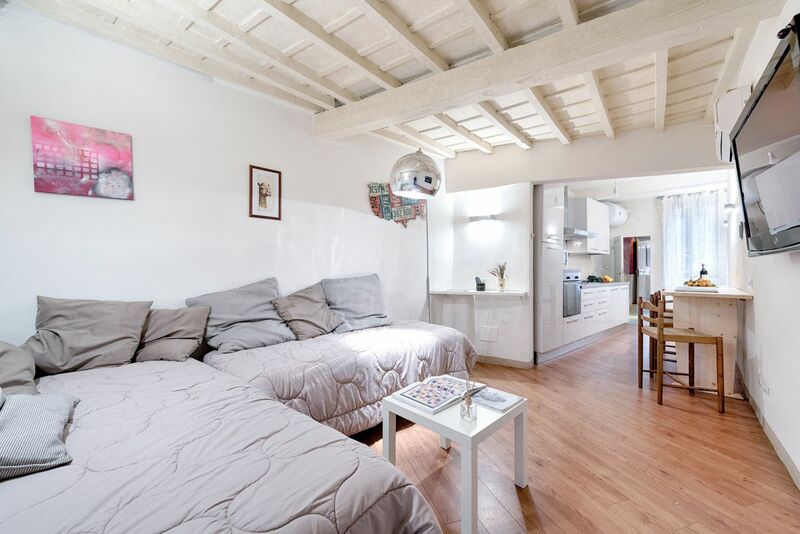 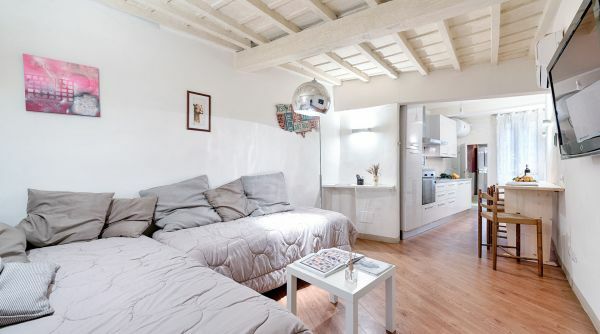 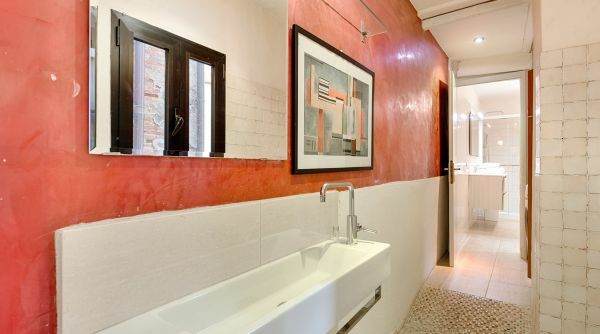 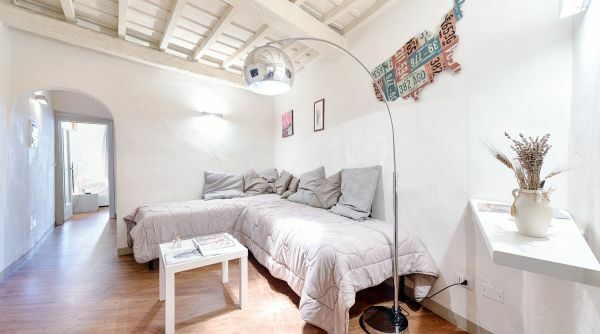 A very cozy apartment into the heart of the historical city centre of Florence. 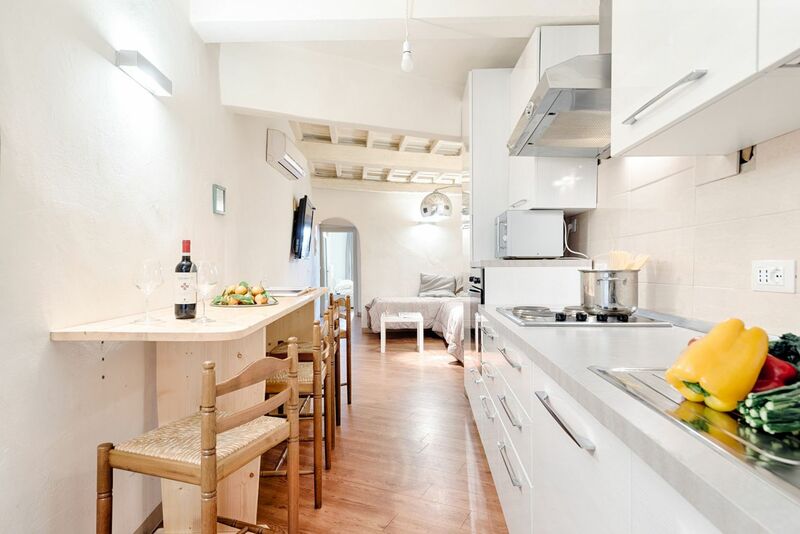 The house is in the lively piazza del Mercato Centrale, one of the most interesting dei più interessanti meeting points of the city that, recently renovated, has several places where you can sample many local dishes. 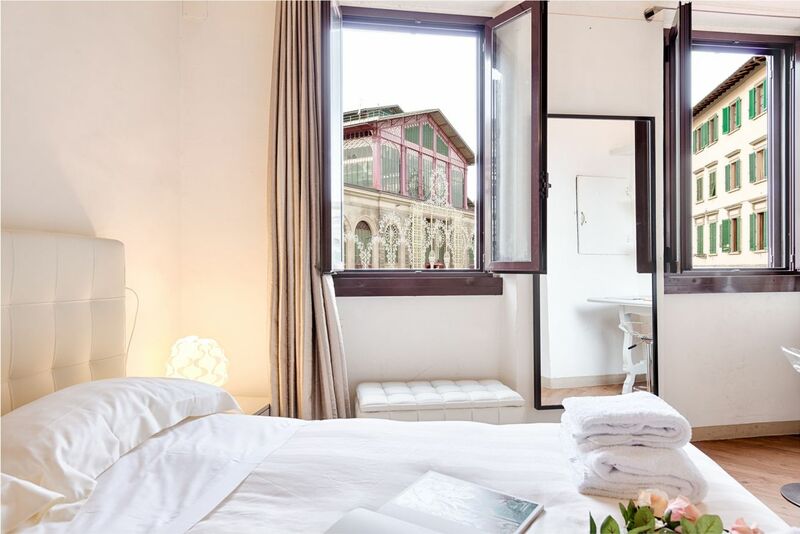 We are in the neighborood of Santa Maria Novella, just two steps to the central train station and close to all the main monuments and museums of Florence: it takes only 5 minutes by foot to get to piazza del Duomo and the Galleria dell'Accademia. 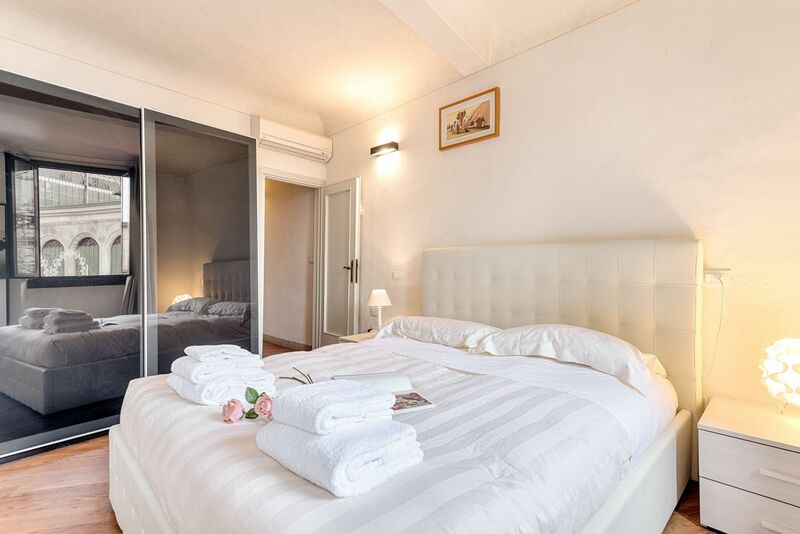 The house consists of a beautiful double bedroom, a large full bathroom with shower, a nice living room with television and two single sofa bed and a wide kitchen with dining table. 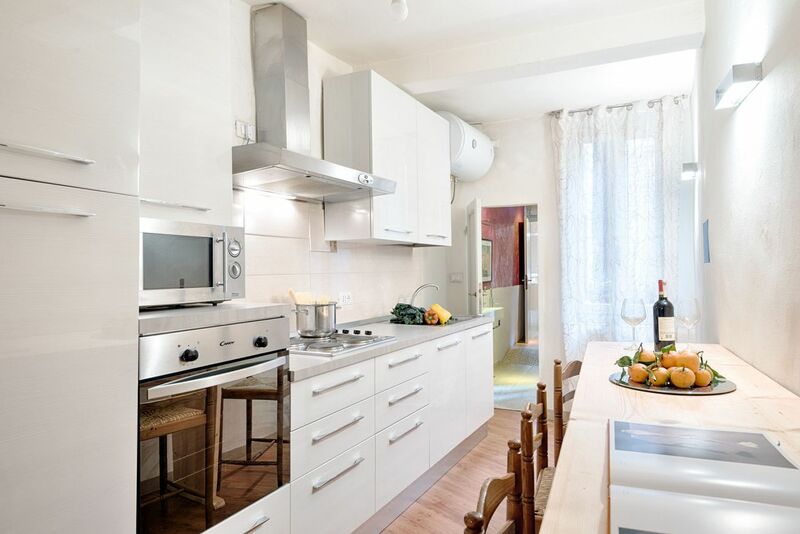 The kitchen is well equipped, ideal for those who want to cook with products coming from the market! 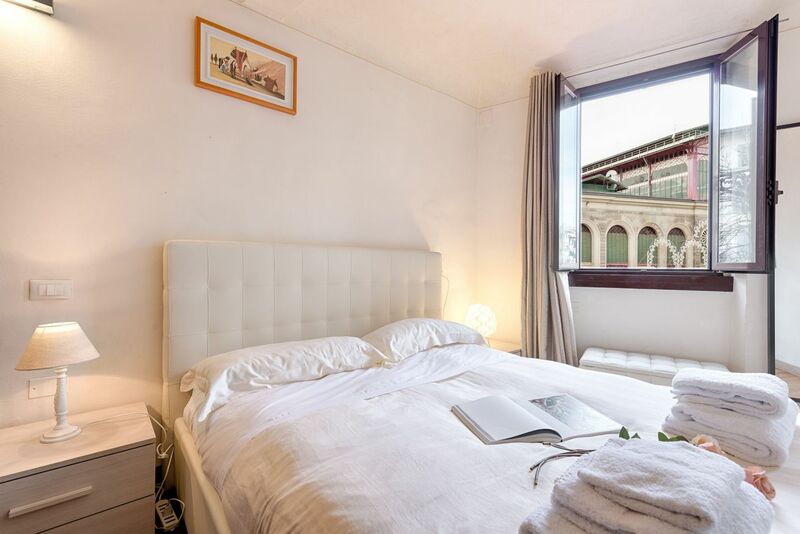 Mercato Centrale View can accommodate up to 4 guests and is equipped with air conditioning, internet Wi-Fi and independent heating. 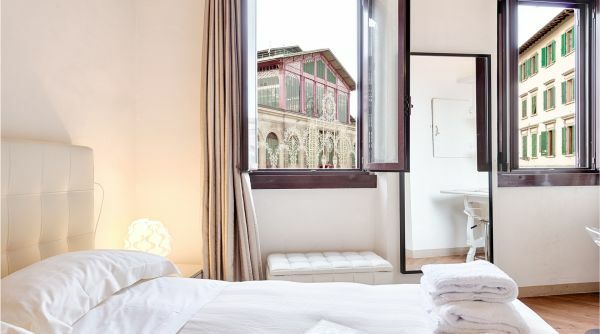 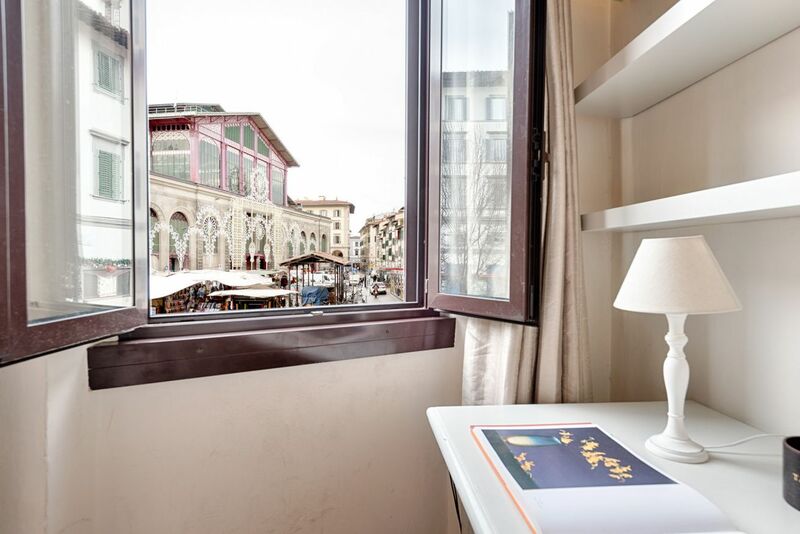 From its windows you can enjoy a beautiful view on the central market and the square. 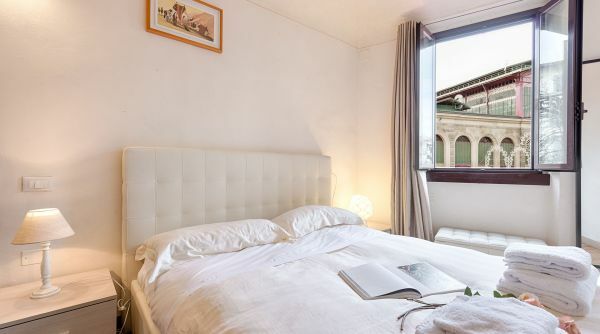 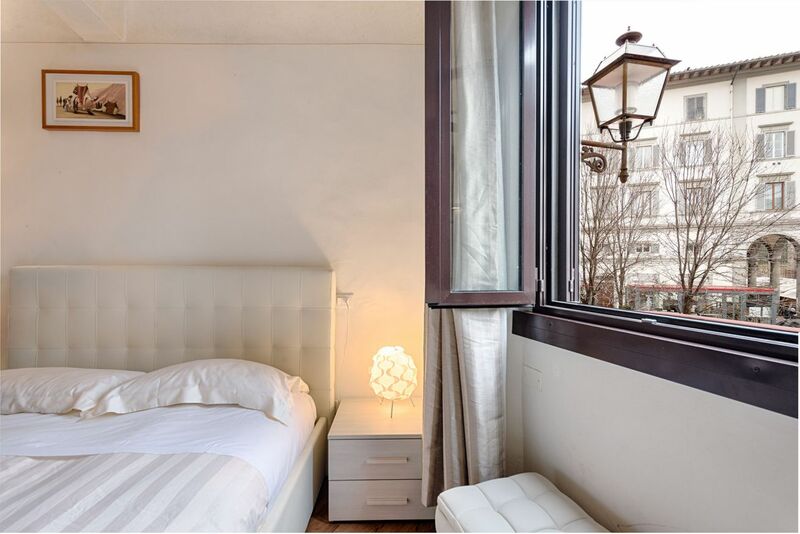 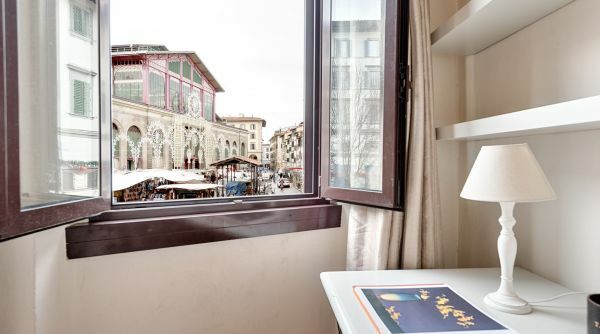 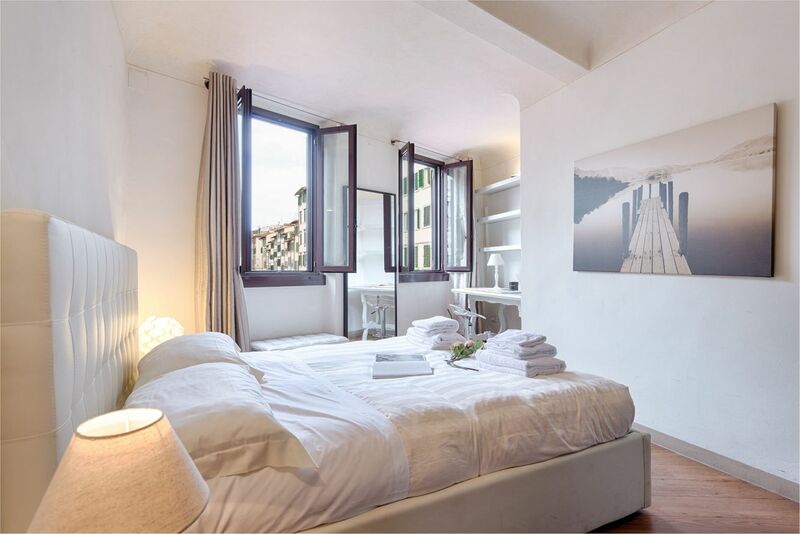 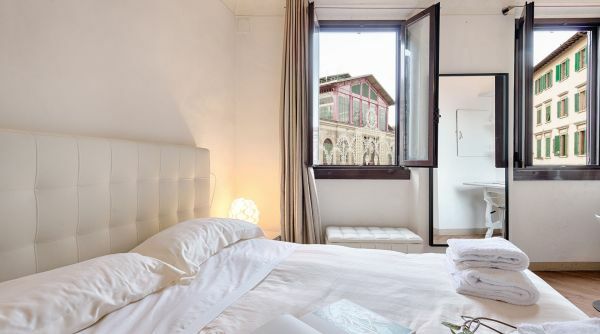 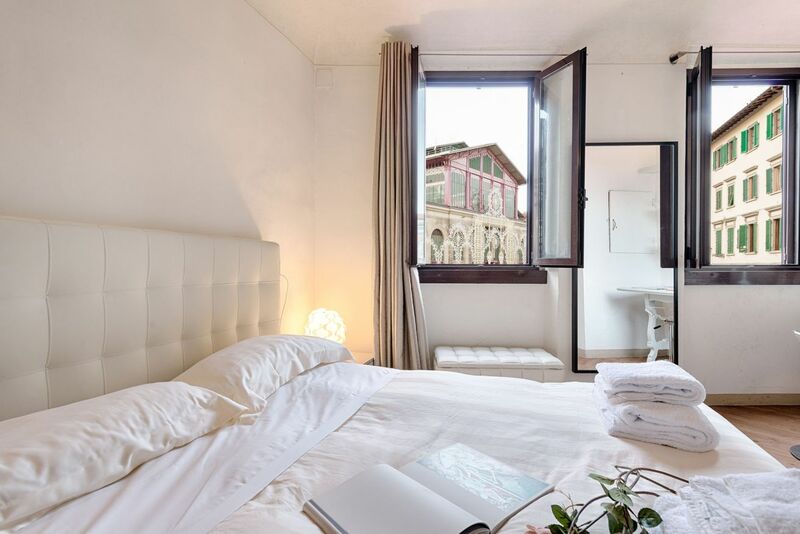 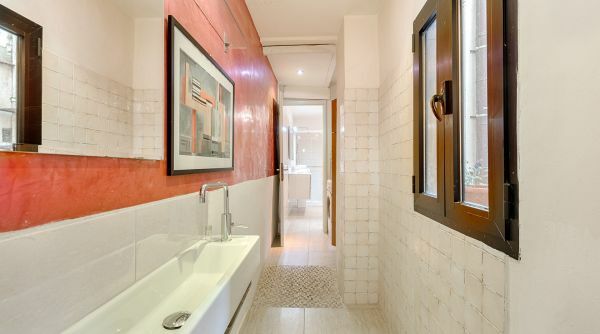 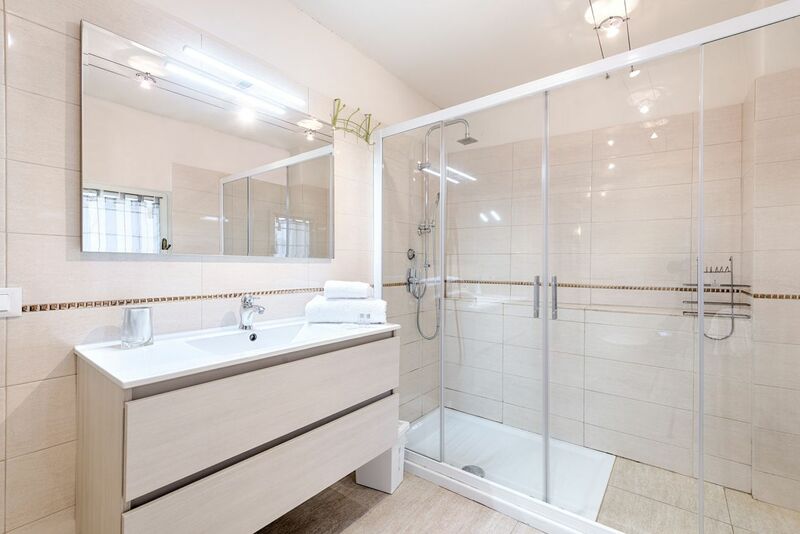 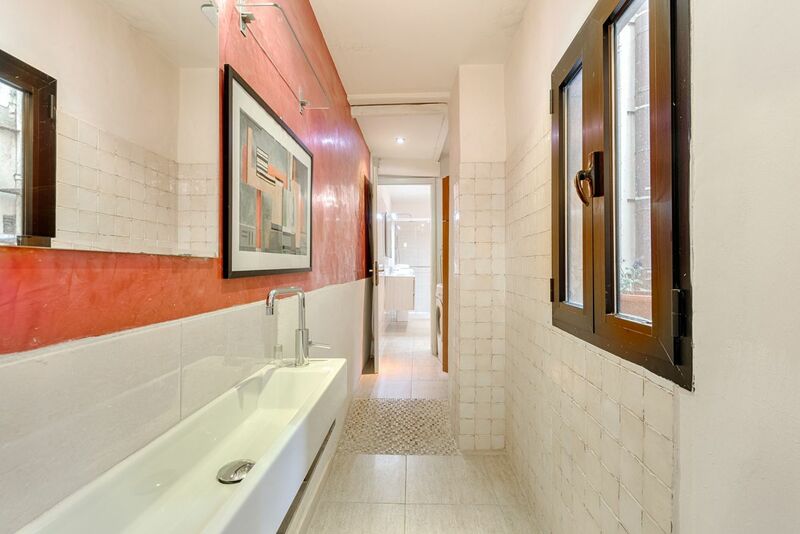 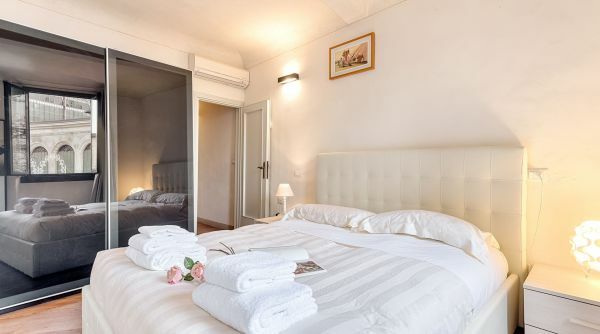 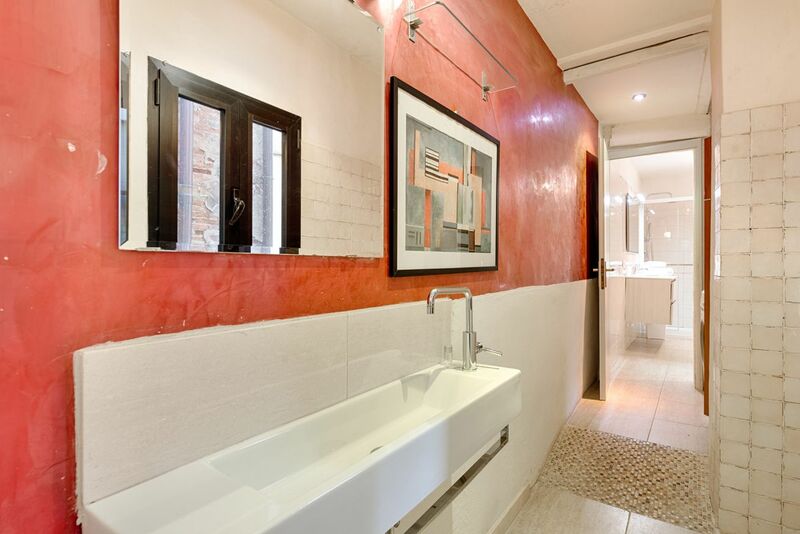 The apartment Mercato Centrale View is well positioned into the heart of the historical city centre of Florence. 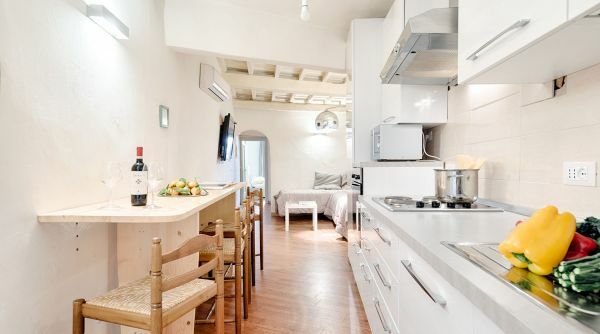 Located just 5 minutes walking to the central station of Santa Maria Novella, the house overlooks the main markat of Florence, a palce where either buy fruits, vegetables and much more but also where you will find many restaurants, a beautiful meeting point that was recently renovated that now it is very appreciated by those who are visiting the city. 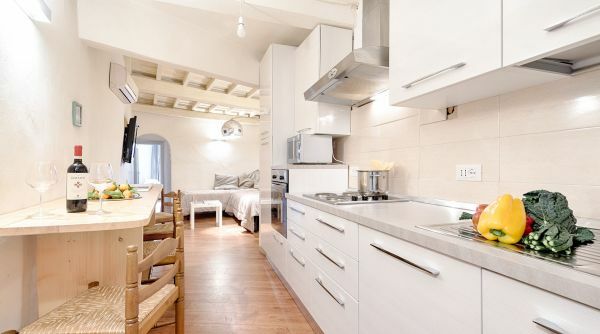 From here is very easy to get to the monuments of Florence by foot, a 10 or 15 minutes stroll is enough to get to every point of interest of the historical centre. 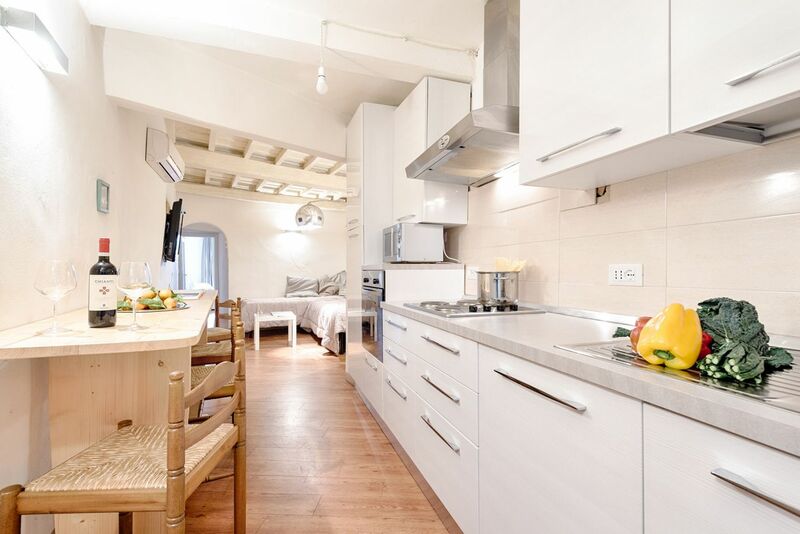 Ideal for who want to explore Florence far and wide! 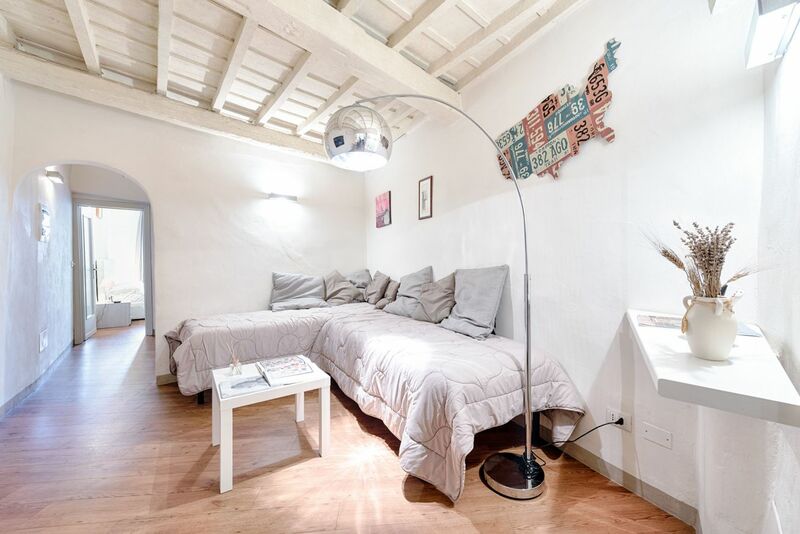 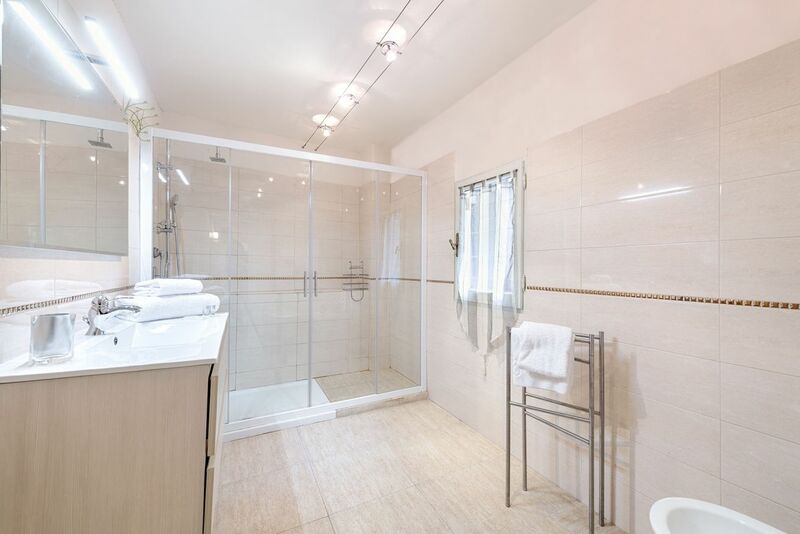 This apartment is only 600 metres far from the main train station of Florence, Santa Maria Novella, so you can easily go there by foot.